I’m so lazy this past few days, I think because I’m not feeling well and all I want is to lie on our bed and sleep the whole day. I promise myself to give my husband a good meal this week, so I prepare something special for him. Actually, this dish was scheduled last Monday for our lunch baon, but since Ian’s officemates went to our house to practice for their Christmas party presentation and as a wife, I need to clean up all the mess left on our house, that’s why I got tired and not able to cook on Monday morning. Anyway, Ian got this recipe at kusinaniina.blogspot.com. 1. 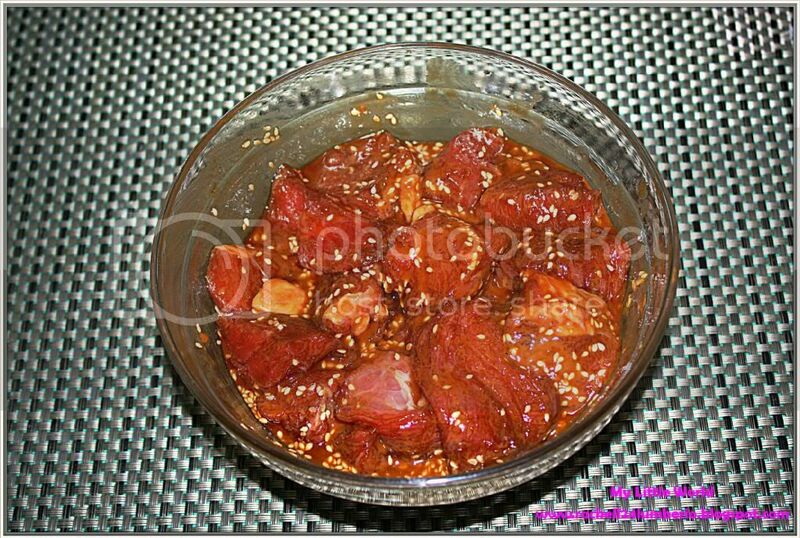 In a bowl, combine the beef, soy sauce, garlic, sesame seeds, flour, sugar and oil. Set aside for about 15 minutes. 2. 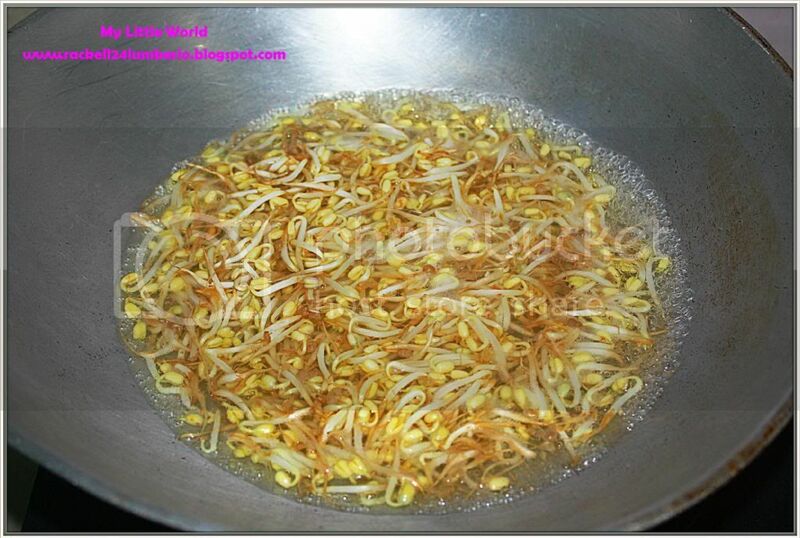 In a saucepan, bring some water to a boil then add the cleaned bean sprouts. Cook for 3 minutes then drain. Set aside. 3. 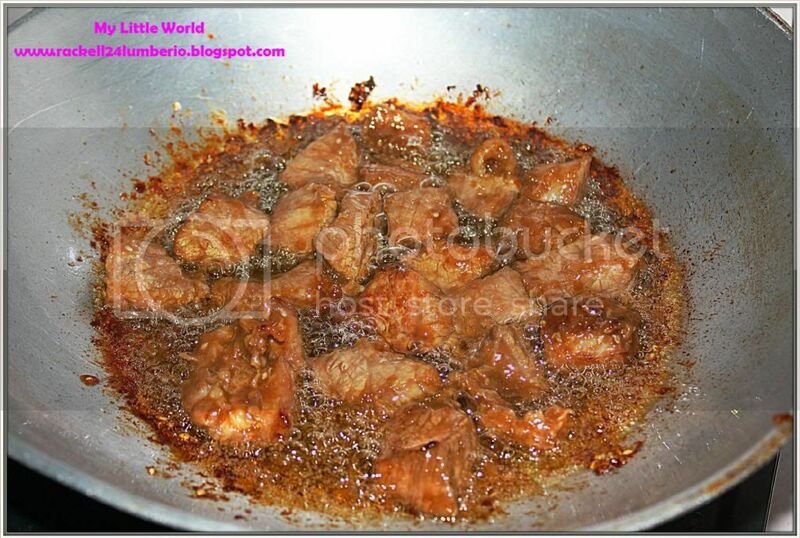 In a skillet, heat ¼ cup of oil then cook the beef until brown. 4. 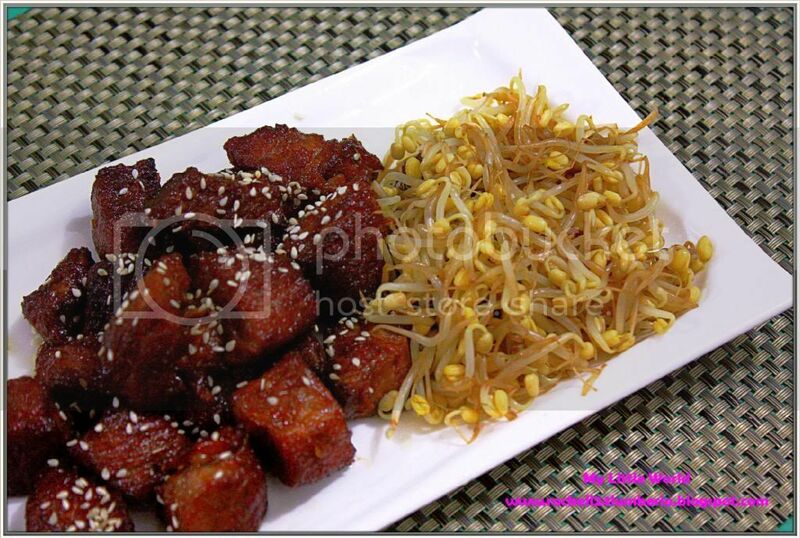 Arrange the bean sprouts on a platter and top with the cooked beef. You can also add other vegetables to the sprout like carrots and bell peppers. You can toss the cooked bean sprout with sesame oil. Presenting my first try of Korean Beef Stew Barbecue with Bean Sprout.